Berlin is a city famous for its many different types of markets. The markets run all year round and there is something for everyones taste from food, to clothes to furniture. Berlin Global takes a look at some of the markets opening up again as we enter Spring. As Winter is coming to an end: flowers are about to bloom and their colorful petals are ready to welcome the first rays of sunshine. 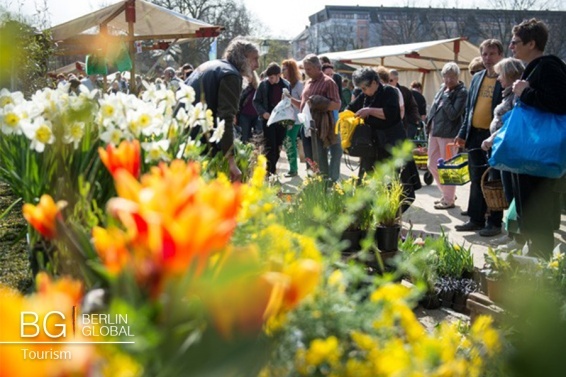 If you are a garden lover, you can’t miss the Berliner Staudenmarkt, a very attractive Market that will take place in the Berlin Dahlem Botanical Garden from 02 to 03 April 2016. The location is one of the world’s most celebrated botanical garden, with an area of 43 hectares and 22,000 types of plants. It was built between 1897 and 1910, under the guidance of the architect Alfred Koerner, with the aim to accommodate exotic plants returned from German colonies. The Berliner Staudenmarkt is only held twice a year and it is a 1000 meters market with 129 exhibitors. In this lovely place you can come across a large variety of plant life: healing plants, water plants, crop plants, bulbs and fruit trees. Visitors can also discover a unique assortment of herbs and a wide range of seeds. The flower devotees will have the chance to find different species of the genus Iris (plant of the year) and the Geranium, a prolific plant genus belonging to the family of the Geraniaceae. Moreover, visitors may have opportunities to buy quality gardening equipment, handmade plant supports, earthenware pots, frost-proof ceramic planters, electric tools, garden accessories and hard-wearing garden furniture. Managers and experts of about 100 nurseries will be on hand to provide assistance and advice to visitors, plant and nature associations will share their expertise on gardening and flower maintenance and will help you to find the right species and planting stock for your garden. Last but not least, the popular German actor Rainer Hunold takes over the patronage for the Berliner Staudenmarkt 2016. In fact, he is a passionate gardener and he creates wooden sculptures. Berlin Markets are an integral part of Berlin life. Visiting these markets is highly recommended for tourists if they want to discover more about this multicultural city. We also recommend the weekly market at Winterfeldtplatz and the Turkish Market in Kreuzberg offering high quality fruit, vegetables and flowers. Both are very popular with locals and tourists. 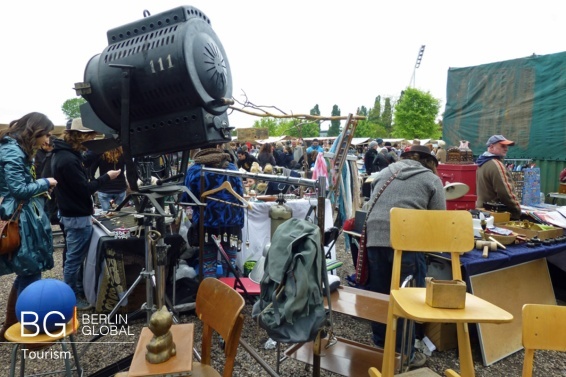 Another famous market in Berlin that attracts thousands of visitors all year round is the Flea Market at Mauerpark. Established in 2004, it is well known for the karaoke sessions that take place every Sunday afternoon and for the relaxing cafés and snack bars. In the Flea market you might find clothes, shoes, old vinyl records, toys and musical instruments among many other interesting finds.